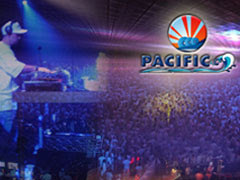 batam activity: Pacific Discotheque "Entertaintment Centre"
Pacific Discotheque is the biggest disco hall in sumatera island, it can fill up to 3000 peoples in hall, and also as the trendsetter for clubbing in town. The most spectacular and the exotic design is now standing to offer world class facilities and services in ship on land hotel. Located in the city central with an easy access to the place of interest and splendid sea view over Singapore. Enjoy our Live DeeJay performance, spectacular laser show, exotic dancers, the great attraction from our champion of bartender, and many more.... you like disco? his place here.